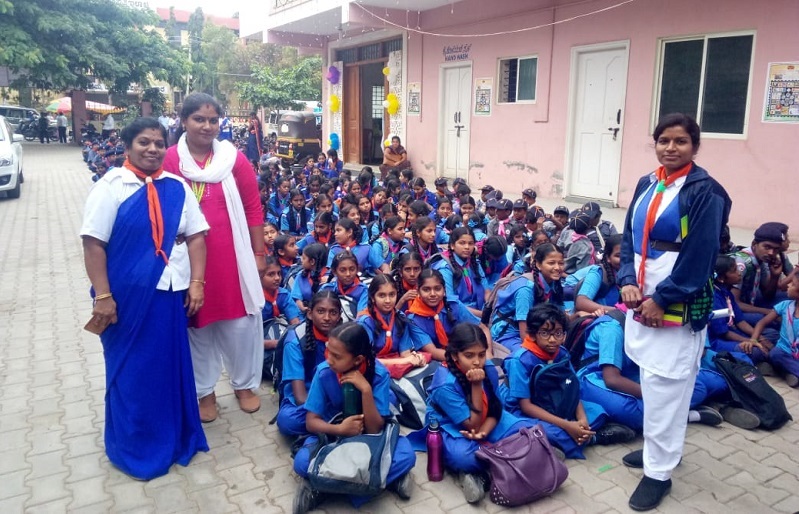 The dignitaries of the program were Mr.Jagadeesh IAS (Chief Executive Officer), Mr.Rathniah (DDPI), Mr.Chandrashekar (Vice- President),Mr.Shankarappa (District Chief Commissioner-Scouts), Mrs.Jayashree(District Commissioner- Guides), Mr.Muniraj (Press Club District Association), Mr.Babu and Mr.Vishwanath (District Organising Commissioner), Mr.Suresh and Mr.Janardhanan (District Secretary). The students were part of the inaugural function and participated actively in the rally on awareness about “Importance of Wearing Helmets - Safety for a life”. They also participated in the stamp exhibition.